HotForex made a strong presence as Diamond Sponsor of MoneyExpo Poland 2015 which was held on May 13, 2015 at the Marriott Hotel in Warsaw. 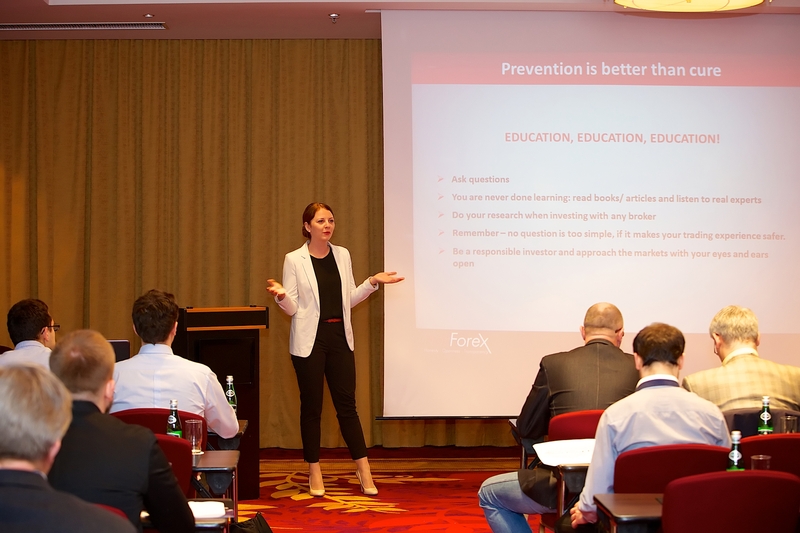 The HotForex expert team, consisting of our Chief Market Analyst Janne Mutta, Katarina Kvasnicak and Andreas Andreou, presented a number of interesting seminars to participants along with other industry professionals at this one-day event which looked into effective methods of investment in currency markets. Speakers shared valuable insights with participants such as how to increase the Return on Investment in currency markets by showing specific strategies with examples based on real accounts. HotForex actively travels to meet traders and partners from around the world. We would like to thank those who joined us at the MoneyExpo in Warsaw and we look forward to visiting Poland soon. Here are some photos taken throughout the seminar.